You loved our previous article on this topic, so we’re back with a part two. Here are 10 more fun and unique theater gifts that can be found on Etsy! 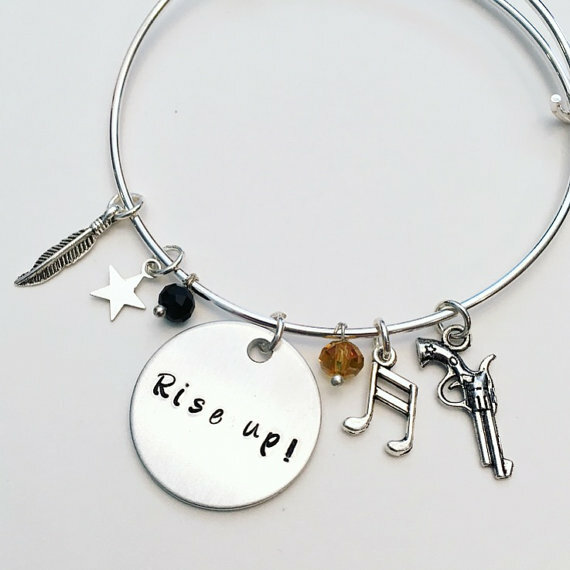 Etsy has tons of customizable jewelry, here’s an example of a fun Hamilton inspired bangle by GeekGalaxyDesigns. 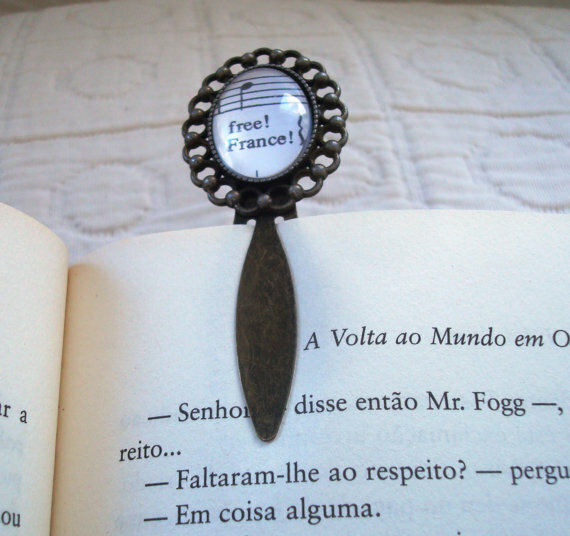 Why not celebrate musical theater while you read? Straight from the libretto, mark your page with some sheet music from Les Misérables! Making some cupcakes for a party? Or just for yourself? 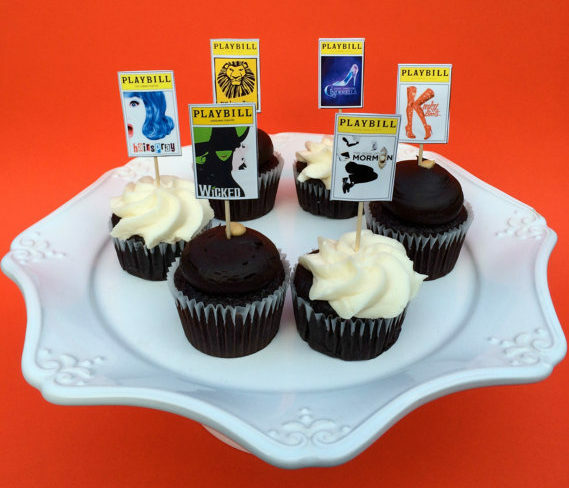 Either way, jazz up your sweet treats with some Playbill toppers. These from jacolynmurphy are available in a variety of show titles. A blast from the past! 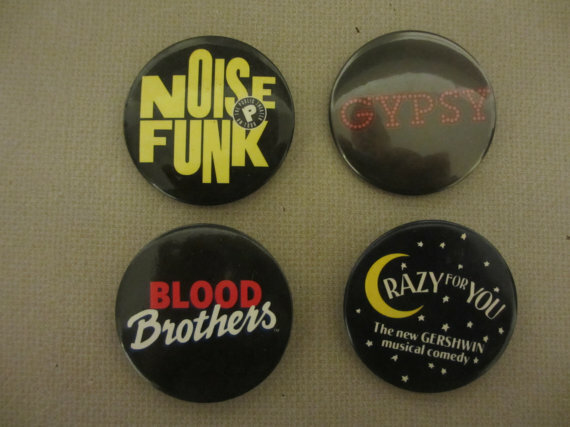 Celebrate some of your favorite shows by repping vintage buttons like these from StarSteveStuff. 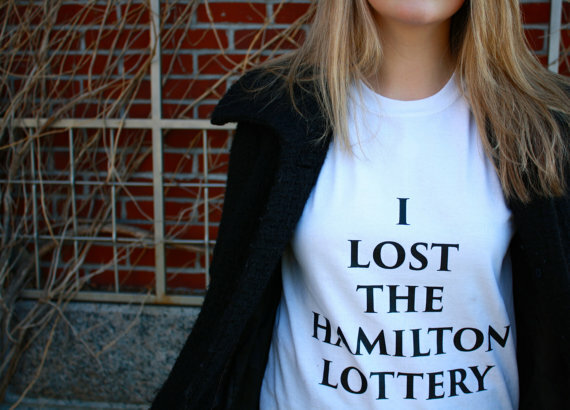 Lost the Hamilton lottery and need some consoling? Feel like part of a community with this t-shirt by BroadwayBirdie to show your solidarity and wear it with pride! Mornings are hard. 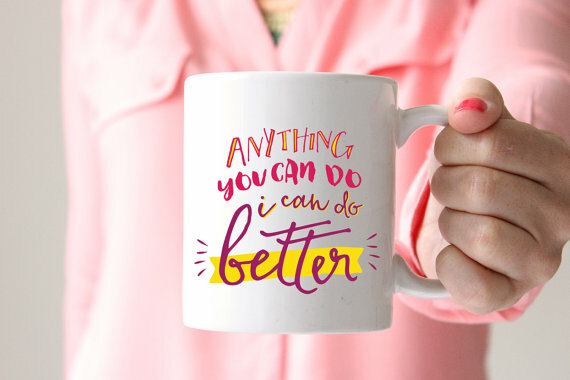 Make them a little easier by sipping your coffee from a mug like this one from shopHelloGinger, featuring a quote from the timeless musical Annie Get Your Gun. If you’re working on your Playbill collection, a vintage one might just be the perfect addition. 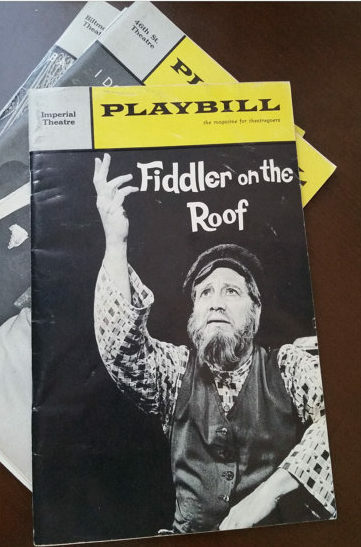 Check out this one from an original production of Fiddler on the Roof from PARDONMYVINTAGESHOP. Protect your tabletops in style! 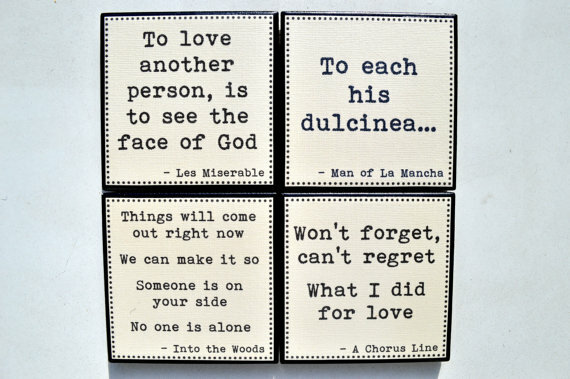 These custom handmade coasters from LaurenPenelopeDesign feature quotes from musicals and are available in a variety of colors. Put this on your very own ring of keys! 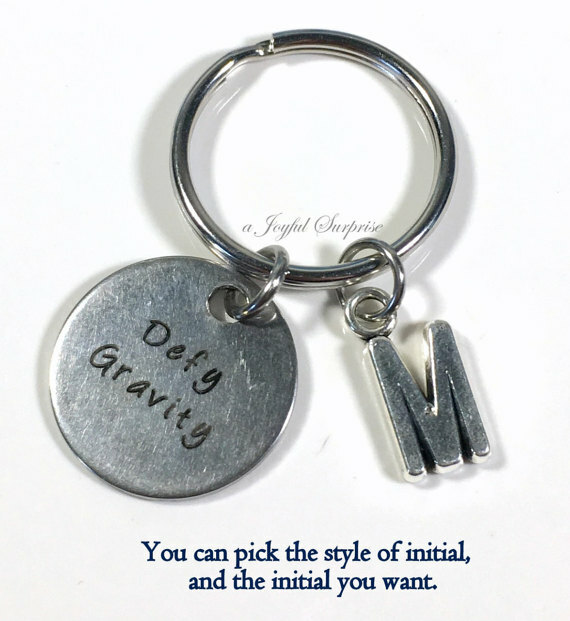 Check out aJoyfulSurprise‘s store to personalize it with your own initial or even add on a birthstone! 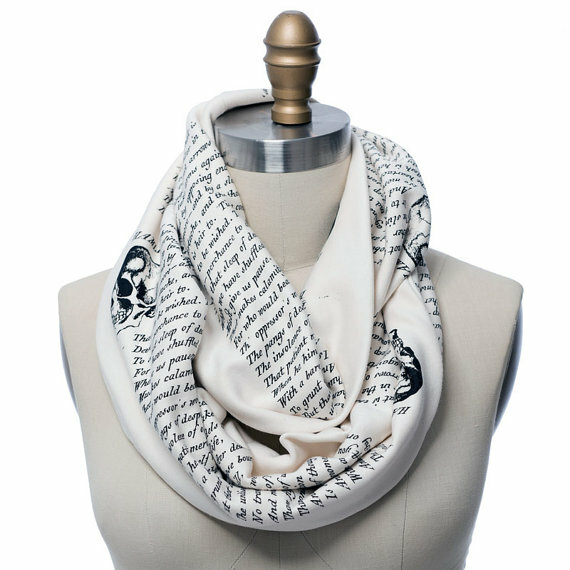 Warm up with this Hamlet scarf featuring the famous “To be or not to be” soliloquy spoken by Hamlet in the third act. Show your Shakespearean pride and get one from storiarts‘ Etsy shop. Still need more gift ideas? Take a look back at these other gifts for theater lovers!